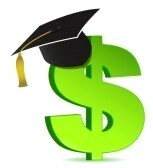 (MONTEBELLO, Calif.) March 21, 2016 – The Shops at Montebello is seeking applicants for up to $12,000 in college scholarships, as part of the center’s scholarship program, which is meant to recognize outstanding graduating seniors from the Montebello Unified School District as they continue their education. Applications are currently available starting today, March 21, in high school counselor’s offices at Montebello High School, Schurr High School and Bell Gardens High School. Completed applications are due on Monday, April 25, no later than 2 p.m. to each respective high school counselor. The Shops at Montebello’s Scholarship Awards recognizes local seniors in their pursuit of continuing their education at a four-year college. The scholarship program was created in 1985, when the center opened, as a way to assist local students in recognizing their educational goals and to provide initial monetary support to achieve those goals.